10 months ago, I started sharing my travels after my friends who believed in me, kept pushing me to do so. 4 months ago, I started working and juggling gym, nights out, house chores, wife duties, and blog posts. It has been hectic, and the blog posts get sacrificed. 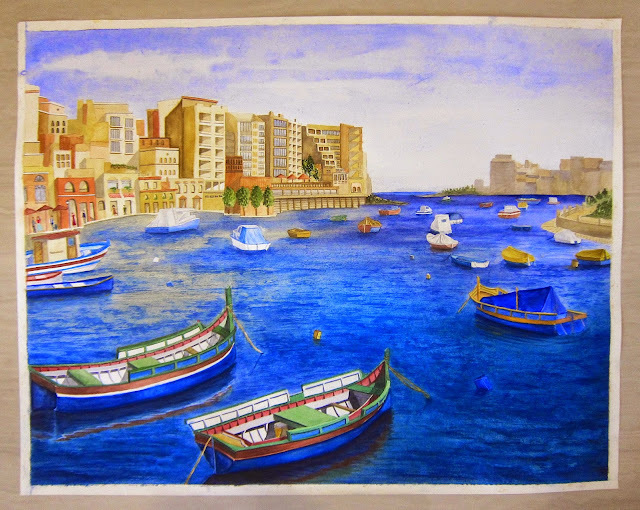 2 months ago, I received a message from my friend that she painted one of my pictures from Cruising in Malta. She said she was inspired. "Your painting is beautiful, Cindy! Keep painting, and I will keep writing.